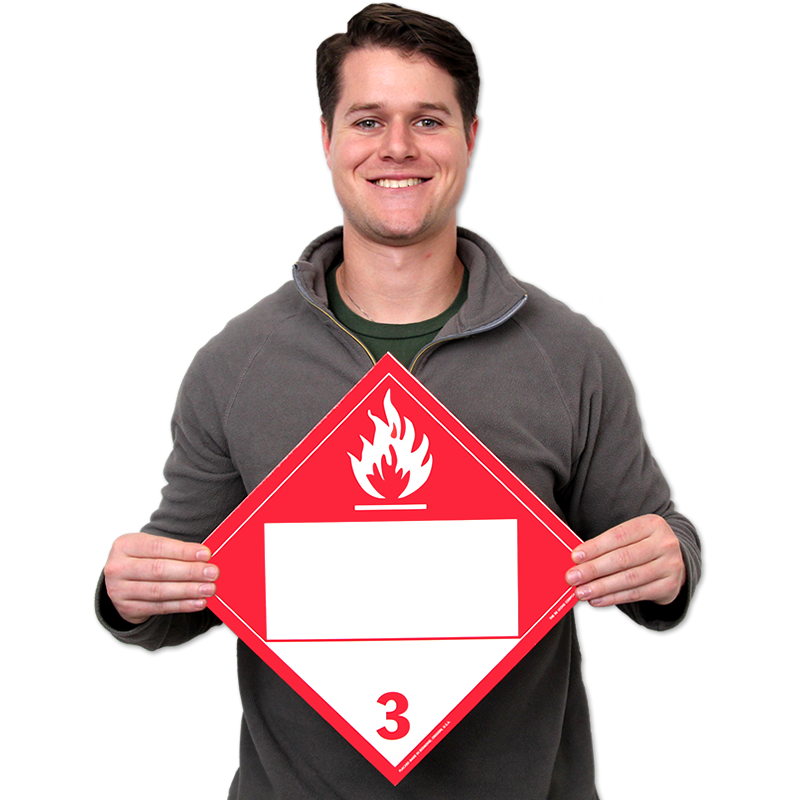 • These blank 4-four digit flammable solid placards are required by 49 CFR Part 172.500 for domestic and international shipments by truck, train or vessel. • Placards fit into standard plastic or aluminum placard holders. • Standard placard holders (sold separately) permit you to easily swap placards. • Printed flexographically with light fast inks. • Tagboard coating is water resistant. • Placard is made from a 16 point board.